Your feet are the foundation for your entire body. 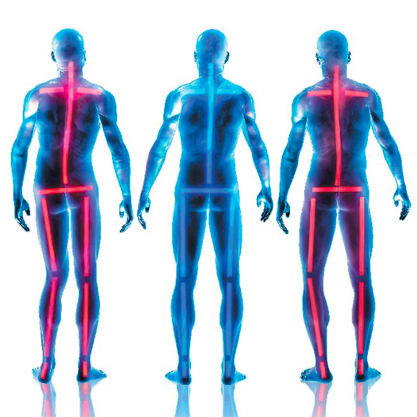 When this foundation is misaligned or functioning poorly, the effects can be felt throughout the body whether in muscle and joint pain or through more serious injuries. Over 70% of the population suffers from overpronation or excessive supination, yet most of us are unaware of our own foot type and how it affects the rest of our body. This illustration shows the many areas of the body affected by overpronation or underpronation. 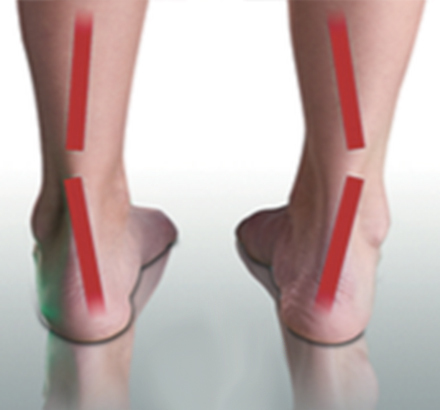 By simply supporting the feet properly overall body alignment can be improved, alleviating pain and helping the body heal itself. When the arch collapses too much and the foot rolls inward excessively, distributing weight unevenly. 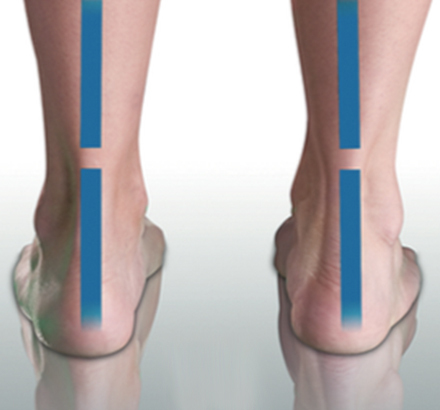 It is considered one of the most common foot misalignment. 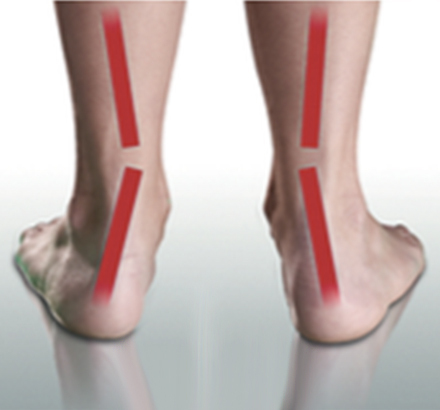 Foot and ankle maintain a straight line. Weight is distributed evenly across the foot and heel. When the foot leans to the outside. Weight is distributed along the outside. Also known as under-pronation, which reduces the body’s natural shock absorbing capability.